As a professional theologian Schüssler Fiorenza's specialty, demonstrated in her doctoral thesis, "Priest for God: A Study of the Motif of the Kingdom and Priesthood in the Apocalypse," for the Catholic Theological Faculty, Wilhelms-UniversitÃ¤t, Münster, was biblical studies and the history of early Christianity. 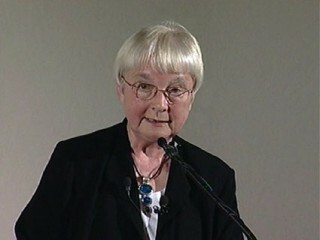 Through the publication of significant books, articles, and coedited projects as well as participation in numerous conferences and workshops both in the United States and internationally, she contributed to the feminist redefinition of theological and biblical interpretation both within the academy and the churches. Her academic career took her from Germany to the United States, where she held positions at the University of Notre Dame, Indiana; the Episcopal Divinity School, Cambridge; and as Krister Stendahl Professor of Divinity at the Harvard Divinity School. View the full website biography of Elisabeth Schussler Fiorenza.